YONKERS, NY (October 2018) – The Boyce Thompson Center, an innovative 85,000-square-foot mixed-use center in Northwest Yonkers, has announced signing a 2,160-square-foot lease with Fresh & Co., a healthy food chain offering chef-inspired organic seasonal food with locations throughout New York City. This is the company’s 21st location and first in Westchester County. 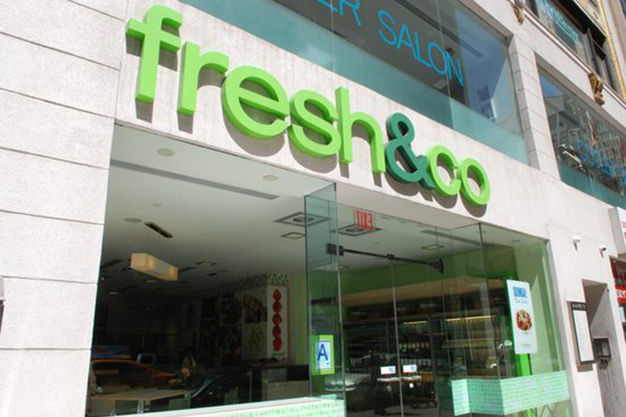 Founded in 2010, Fresh & Co. is a destination for people that want a healthy meal…fast. Fresh & Co. offers vegetarian, vegan and gluten-free menu options that include homemade items such as, salads, soups, sandwiches, and quinoa bowls. 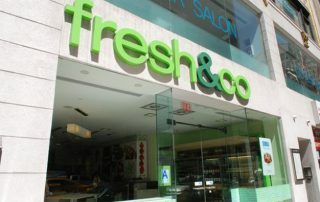 “We are delighted that Fresh & Co. has chosen the Boyce Thompson Center for its first location in Westchester County. The addition of Fresh & Co. further enhances the outstanding roster of retail tenants at our center,” said Joanna Simone, Vice President of Leasing and Property Management Operations for Simone Development Companies, the owner and manager of the Boyce Thompson Center. With the signing of the lease for Fresh & Co, the Boyce Thompson Center’s retail space is fully occupied. Other retail tenants at the center include Starbucks Coffee, ISO Japanese Restaurant, Fortina Restaurant, The Taco Project, Executive Wine & Spirits, Family Wellness Pharmacy, Tompkins Mahopac Bank, PLUSHBLOW Salon and Ultimate Spectacle. Simone recently announced signing 12,724 square feet in new leases to three healthcare tenants — ENT & Allergy Associates, Metro Vein Centers and Motion PT Group. Major healthcare tenants at the Boyce Thompson Center include St. John’s Riverside Hospital, Westmed Medical Group, ColumbiaDoctors, Riverside Dental Health, Westchester Gastroenterology, Juvanni Med Spa. 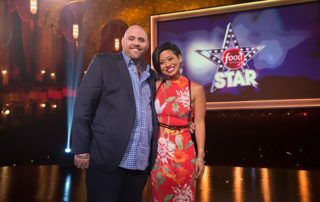 Christian Petroni, the charismatic chef behind the Fortina enterprise, is the next Food Network Star. But so is Jess Tom. The self-taught cook and food novelist from Pleasantville, was named co-winner on the Sunday night finale, the first time in Food Network history the competition had ended in a tie. Petroni was at the Armonk Fortina and addressed the crowd saying the competition was the craziest experience of his life, but that he couldn’t have done it without the support of his customers. “The Bronx, Westchester and Fairfield counties, I love you,” he shouted. 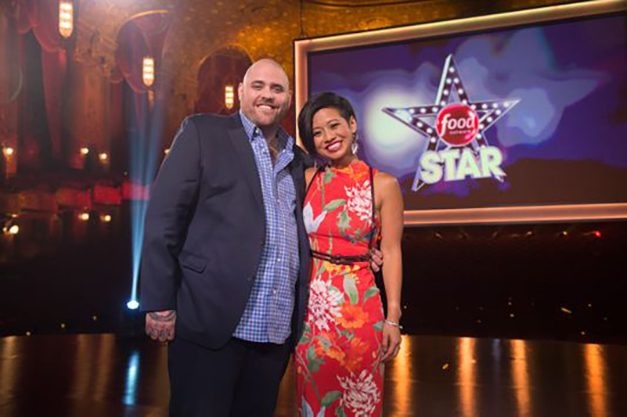 As winners, Petroni and Tom will become part of the Food Network family, with a project/pilot to be developed. Grace LoBello of Armonk was at Fortina and said she was thrilled Petroni won. “He exudes passion and puts that into his food,” she said. Nick Nitti, a chef at Forno Rossi in Chicago actually flew in to be at Fortina for the finale. “Christian is such a humble guy. What I love about him is despite his success, he is still just a big teddy bear,” said Nitti. The 34-year-old restaurateur who got his start at the former Peniche, a tapas restaurant in White Plains, was given the title Sunday night by celebrity chefs Bobby Flay and Giada De Laurentiis after beating fellow contestant Manny Washington, a firehouse chef from Orlando, Florida. In total, Petroni competed against 17 different contestants to make it to the final three.